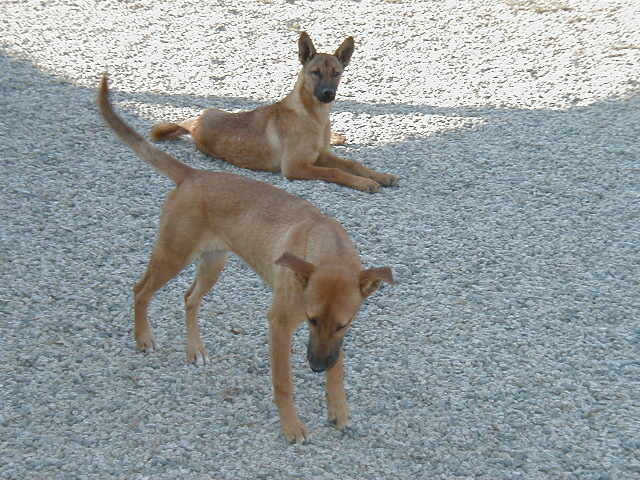 For those who have the psychic capability to see spirits, these guardians will appear as a pack of seven yellow dogs, also called Carolina dogs, American dingo, and Dixie dingo. About yellow dogs: The Yellow Dog, or Dixie Dingo, is a type of wild dog discovered in the late 1970s. They were located living in isolated stretches of long-leaf pines and cypress swamps in the Southeastern United States. The UKC has classified them as a pariah dog. It is assumed that dogs placed in "pariah" or "primitive" groups are of an older type than other modern dog breeds. Future genetic testing may show the actual heredity of these breeds or types. In addition to the standard Guardian capabilities, they have superior tracking abilities, may aid in psychically contacting persons (pinging), and may aid in communication with the dead.